Normans Bookkeeping’s mission is to help SME’s achieve their full growth potential, when outsourcing their accountancy needs. We have built our business to date through recommendations from our satisfied customers. Build good relationships – It’s all about communication; pleasant but firm engaging communication. Plenty of notice for you of upcoming tax bills. A professional approach to getting your bills paid on time. Professional liaison with your suppliers to ensure good service from them to you, as well as good credit terms etc. Value for money – It’s how we measure value that makes the difference here. The value you get from us, is not just a very reasonable price for our services but it is also in the quality of the work we do with our highly skilled team who take an interest in your business. There is added value is having a management accounts report that really gives you the information and tools you need to make good business decisions. There is added value is having your accounts ready at the drop of a hat for your year-end accountant, reducing the time they will charge you for. 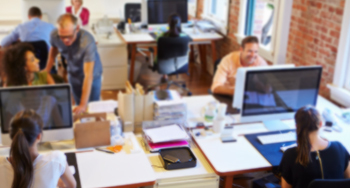 There is added value in the fact you have a team of accounting experts to assist you so if your named management accountant is on leave or off sick you can still get information or advice. We provide back office accounting and payroll services that can be tailored to the needs of our customers. We work with a wide variety of different business sectors, including Limited Companies, Sole Traders, Partnerships and Charities, throughout the West Midlands and across the UK. Our staff team comprises of qualified and part qualified accountants, with experience across the accounting sector in positions such as Financial Director, Management Accountant, Financial controllers and payroll administration. We also employ the assistance of a pensions expert to help us ensure all our customers are compliant with their pension and auto enrolment requirements. We are lucky to employ staff with a variety of skills, from Hannah who loves the challenge that a shoe box of receipts to sort through gives her, to Donna, who’s precise and detailed approached ensures nothing (we mean absolutely nothing) gets missed! As a customer you have a named contact within our team and every month you receive a bespoke management account report that includes your latest P&L statement, a balance sheet, a budget and a narrative to guide you through the facts of your finances. We use the latest and best cloud based accounting software to provide a quality and effective service. This means we have extended our customer base outside of the West Midlands and we now work with many customers with businesses in London, Mid Wales and across the UK. We pride ourselves in the relationships we build with our customers and work hard to quickly establish trust and a positive and professional working partnership with you. "We outsourced our growing Payroll to Norman Bookkeeping & Payroll in January 13. We have found the service to be accurate and efficient. We have received a swift response to all our payroll queries enabling us to feedback to Staff without delay." "We have been using Norman Bookkeeping & Payroll for a variety of regular accounting services to support our in-house staff since June 2011. They provide expertise and added staff resource in a cost-effective way for our business. During this time we have been impressed with the level of customer service, speed of response and genuine passion for our business that Norman Bookkeeping & payroll have. They have developed good relationships with our staff and the customers with whom they have regular contact. 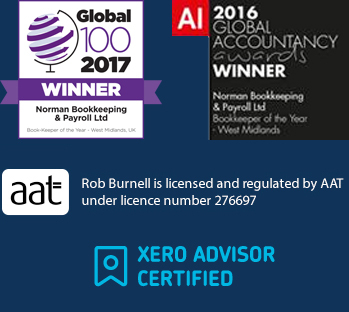 It is my opinion that Norman Bookkeeping & Payroll operate in an honest and transparent way, offering best advice and delivering services to meet their customer’s needs." You are not on your own when you work with us at Normans. As specialists in our field, we are your team, to make sure everything is done correctly, professionally and cost-effectively. We are helpful and friendly people who love what we do - giving you back the time you would spend doing tasks that we are experts in. Please fill out the form, or call us, for a no-obligation conversation about your needs.